A program that helps get women into the pilot’s seat, American Airlines and FedEx aircraft fires, tech to help your bags from getting lost, another flying car (possibly), the Cirrus VisionJet receives FAA Certification, and we lose a legendary pilot. Mary Latimer and her husband, Lawrence, have been in aviation since they met in 1970. They have been involved in the aerial application industry, ferry, maintenance, rebuild, flight training, freight, and corporate aviation. Mary created the nonprofit Girls in Flight Training (GIFT) Academy that gets women into the cockpit. The goal of this female-friendly flight school is to identify and address the various issues that may be causing women to abandon flight training, and to assist them in overcoming those obstacles. GIFT Week is a once-a-year “Women Only” event that gives women in any phase of their flight training the opportunity to come together to further motivate their aviation training. A flight instructor since 1974, Mary is a designated pilot examiner (for private, commercial, and instrument). She was named Flight Instructor of the year for the Lubbock, Texas Region in 2013. Mary is also a retired air traffic controller with twenty-four years of service and flies the Cessna Conquest II twin. She’s an A&P mechanic with Inspection Authorization and an FAA Designated Pilot Examiner. American Airlines Flight 383, a Boeing 767-300ER, experienced an uncontained engine failure and aborted the takeoff. The dramatic fire that resulted was captured in amateur video. ATC communications: AA383 ORD – MIA (Audio by LIVEATC.net). Shortly after touching down, the left main landing gear on a FedEx DC-10 collapsed at Fort Lauderdale-Hollywood Airport. The two pilots escaped safely from the resulting fire. Fire crews arrived quickly, found a trail of fire down the runway. According to Delta, the average cost to get a lost bag to the passenger is $70. Delta invested $50 million on an RFID-based tracking system which is more reliable than traditional barcodes. Delta’s mobile app even lets passengers locate their RFID-equipped bags on a map. R.A. “Bob” Hoover: saying good bye to a Hero! David posts a tribute to Bob Hoover, perhaps the greatest pilot that ever lived. Cirrus calls it “the world’s first single engine Personal Jet” and initial customer deliveries are expected in 2016. 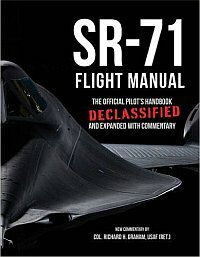 David reviews SR-71 Flight Manual: The Official Pilot’s Handbook Declassified and Expanded with Commentary. While not light reading at 1040 pages, it does provide a different perspective of the world’s fastest airplane. Available from Amazon.com. 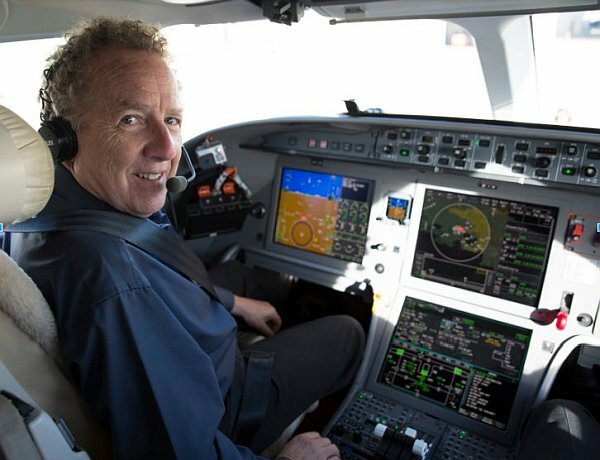 Rob had the opportunity to fly the Falcon 8X and gives us some of his impressions. The Bally Bomber – A manned, ⅓ scale B-17 replica. This entry was posted in Episodes and tagged American Airlines, Cirrus, Delta Air Lines, FedEx, SR-71, women in aviation, Zee Aero on November 2, 2016 by maxflight. Excellent episode! I am a self confessed airplane geek and product design nerd. When I hear about the sorts of accidents like the recent fires on the AA and FedEx planes I start thinking about design solutions that could help mitigate or reduce the impact of these incidents. Digital cameras are ubiquitous these days in digital phones and used as back up cameras in cars, attached to drones and on traffic signals, etc. It seems that pilot situational awareness could be enhanced by the addition of several external cameras. The cameras could be mounted so that the flight crew has a clear view of engines, landing gear and flight control surfaces. 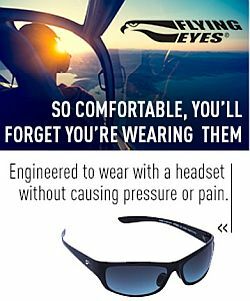 This could enhance the situational awareness beyond the cockpit alarms or having the flight attendants try to observe from the windows (there is a lot of the plane you can’t see from the windows). The cameras would also serve as another data collection device which would aid in accident investigation. Digital cameras are inexpensive and compact adding them to an aircraft system would seem to be almost trivial. The Airbus A380 and several other commercial planes have cameras mounted in the vertical stabilizer or nose. So why not more of them?